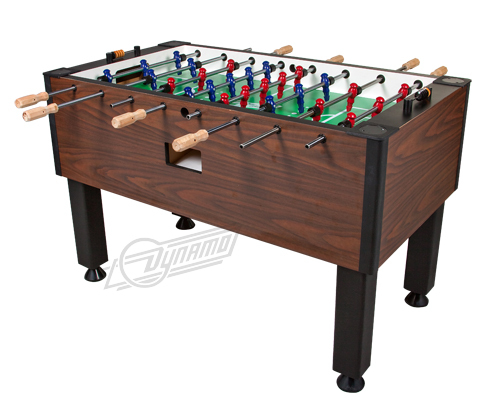 The Dynamo name returns to Home Foosball with the Big D. The Classic table combines a contemporary look with heavy duty down corner construction. The Gunstock Savoy laminate is a match for practically any environment. High performance, commercial-grade parts provide a professional play experience on Dynamo’s Big D.